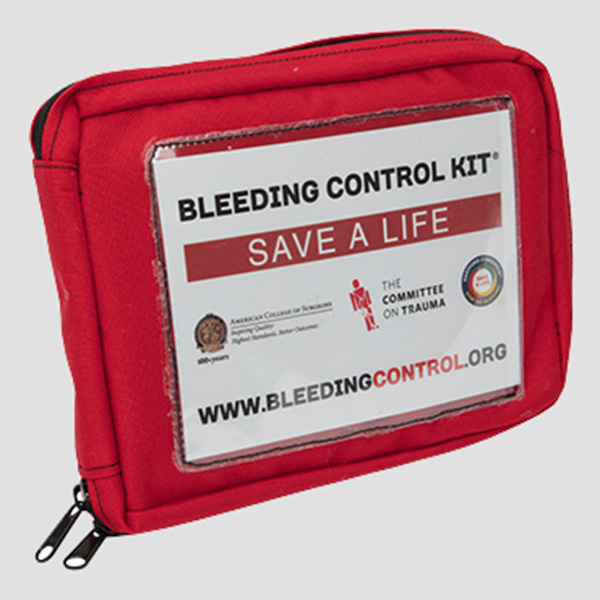 Delivery of training kits is estimated at 1–2 weeks. If you have a shorter deadline – please let us know. 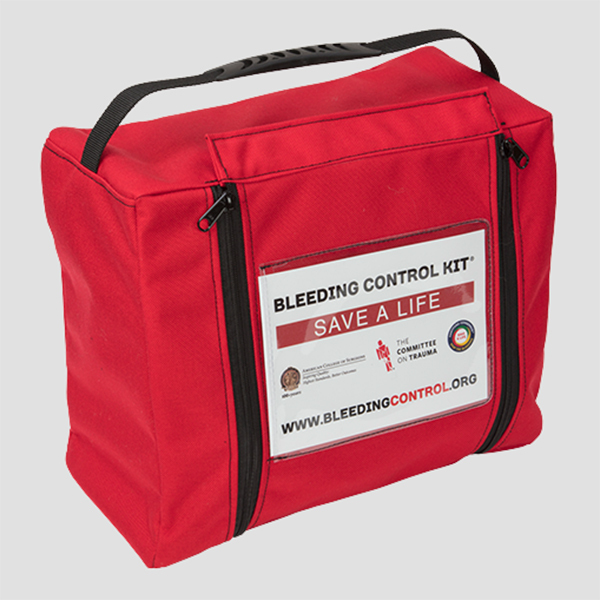 In most cases, we are able to accommodate special requests, including next day delivery. 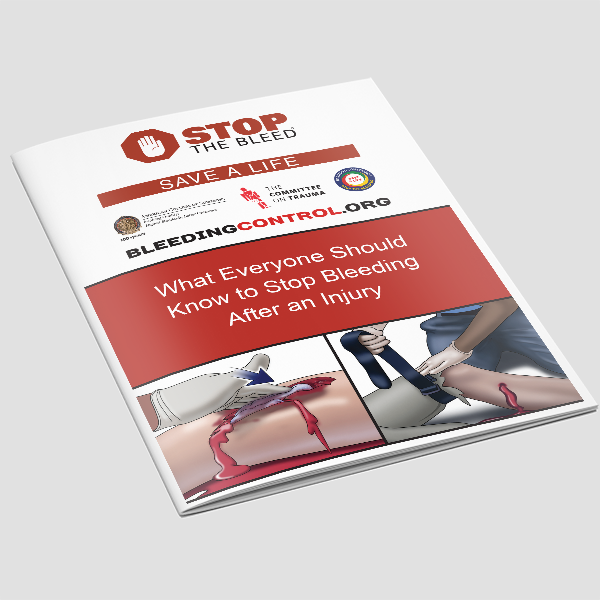 The American College of Surgeons Committee on Trauma certifies surgeons, police officers, emergency medical technicians, paramedics, and selected others to teach basic bleeding control to the public. 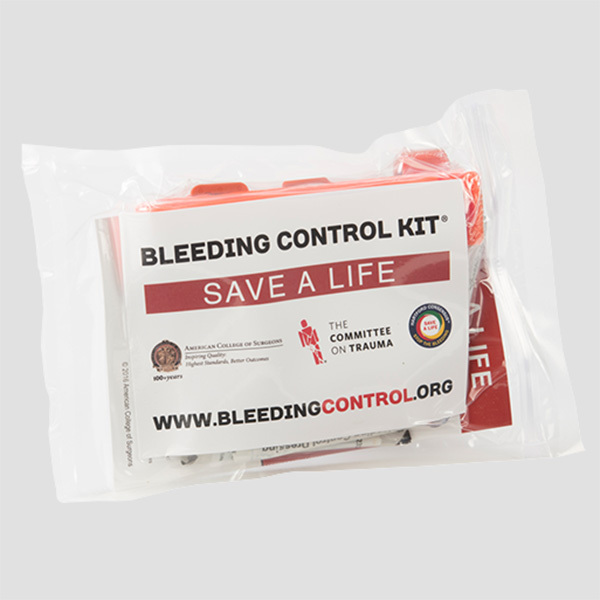 Those who achieve certification are encouraged to use this approved training kit in their courses to simulate wound patterns and have their students practice proper bleeding control techniques. 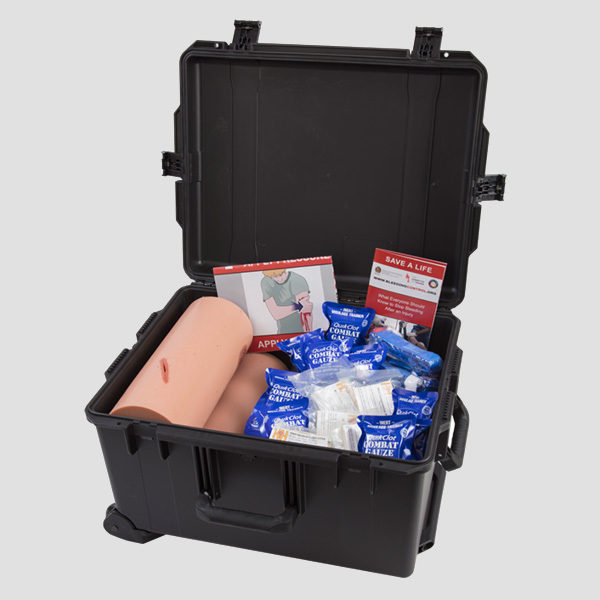 The following components are packaged in a hard plastic case.